Fish Where Are You? is about four boys that love to play and two of these boys were seriously injured while looking for ear rings to go into their ears. But these four boys where not human, they were fish. They acted like any group of friends would do. 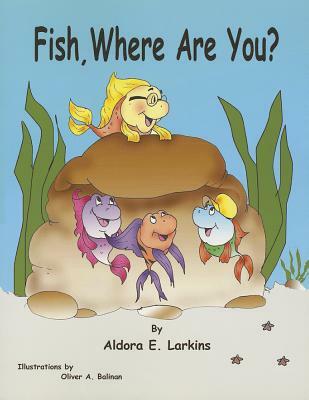 They played hide in seek, they looked for treasure and they wanted ear rings to go into their fins. Instead of finding ear rings to go into their fins they found two fishing hooks. They tried to get the fishing hooks that looked like two nice ear rings to go into their fins but instead they were captured because these were two fishing hooks. While the two fish were put on ice in a cooler the other two fish went to their injured friend's parent's homes to tell their parents what had happened. The parents of the two injured fish were saved by their fathers and were rushed to the hospital near their homes. Both fish were taken to the emergency room then to the intensive care unit (ICU). One fish only stayed in the hospital for a short time but the other fish stayed in ICU for six months because he was in a coma. On Christmas day he awakens from his coma. His parents were so happy and this was the best Christmas gift that they could receive because this was their only child.